Going green with an eco-friendly landscape not only creates a safer environment for you and your family, it benefits the earth as well. When we consider that everything we put in and on our landscape has an impact on our environment, our focus shifts to long-term well-being of our planet. Everything we use in the landscape, from the tools and equipment, to the type of lawn and plants grown in our landscape, has an impact on the environment. Our choices will either cause harm or be beneficial to the environment. Here are 5 tips for going green with an eco-friendly landscape that will enable you to have a lovely yard and minimize your carbon footprint on the planet. If you have a large lawn, consider making it smaller. A lawn requires maintenance with mowers, weed eaters and other power equipment that typically use fossil fuel. Lawns also need fertilizer, weed killer, etc., that are often loaded with toxic chemicals. Maintenance equipment and chemicals add pollutants to the soil and/or air and are not eco-friendly. A smaller lawn requires less fossil fuel and toxins to maintain. 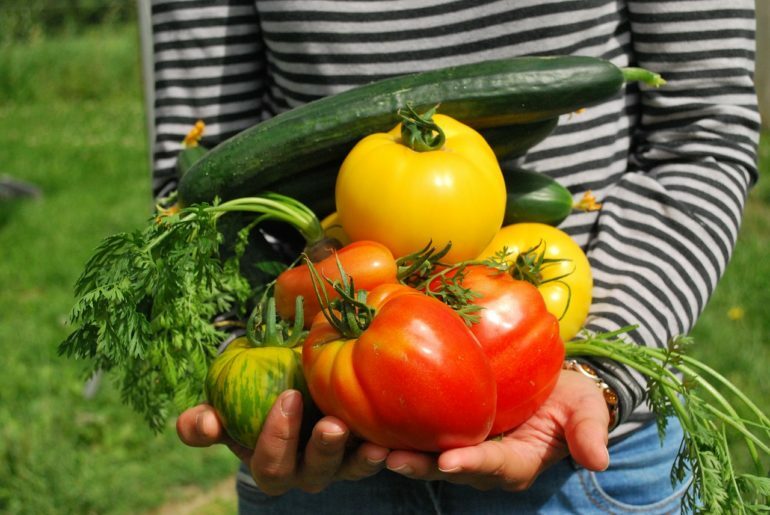 Consider transforming some of your current lawn into a vegetable garden or flower bed. Either one will reduce the amount of pollution you are releasing into the atmosphere, plus they will provide fresh food and/or fresh flowers. Deciduous trees planted in the right locations help promote an eco-friendly landscape. Deciduous trees planted on the south side of a home provide shade from the scorching summer sun. The shade provided by the tree(s) during the summer will keep the heat out, naturally reducing the temperature inside of the home and reduce air conditioning costs. When the tree sheds its leaves in fall it will permit the winter sun to shine through and warm the temperature inside of the home to help reduce heating costs. Deciduous trees, like a maple or oak, planted on the east side will cast shadows on your house in the morning sun. The temperature is cooler so they don’t have as great of an impact on your electric bill. Those planted on the south side of your home will provide mid-morning and early afternoon shade during the summer months. The west side of your home is where a deciduous tree will have the biggest impact on the temperature inside your home. These trees will keep the afternoon sun from shining directly onto and into your home so less natural resources will be consumed keeping the interior of your home cool. Evergreen trees that are strategically planted in the landscape act as wind breakers from the cold winter wind and help reduce the heating cost of a home. 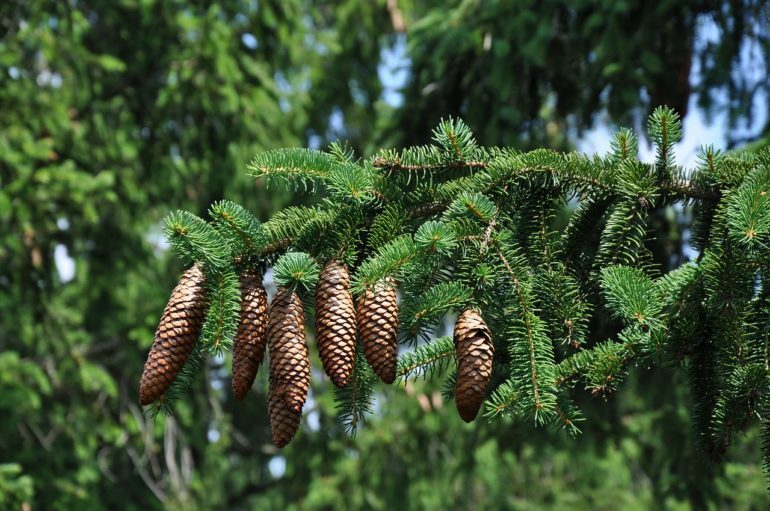 Evergreen trees, like Douglas fir, Colorado Blue spruce, and White spruce, add to the attractiveness of the landscape and reduce the usage of natural resources for heating purposes. In addition to reducing heating costs, planting evergreen trees along the outer edge of your landscape is a smart way to create a privacy barrier, buffer road or industry noise, protect livestock and add curb appeal to your property. Evergreen trees are also more likely to outlive any fence you could build for the same purposes. Drought tolerant ground covers conserve soil and water when planted on a sloping landscape area. Ground covers will also reduce the temperature around the home. Native ground covers will help stop soil erosion and if they are drought tolerant, will be able to survive long periods of time without water. 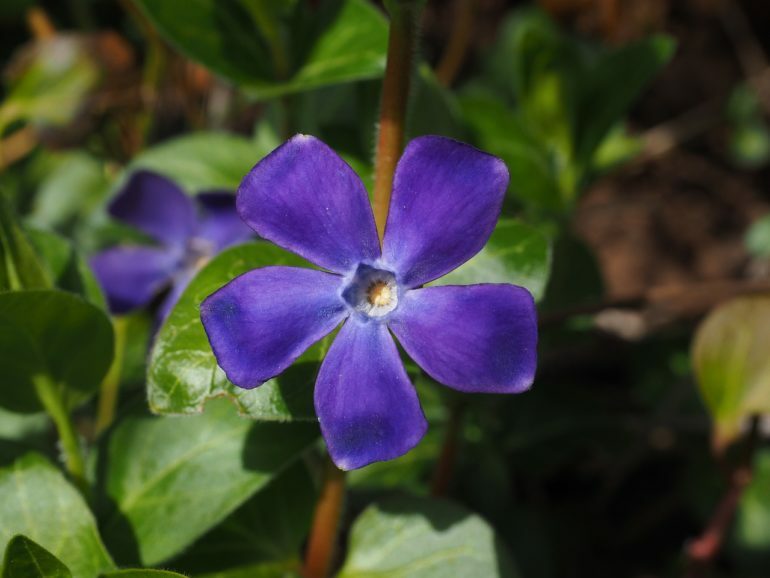 Ground covers, like sedum, periwinkle, creeping thyme and red barrenwort will add cooling greenery, fragrance and colorful flowers to your landscape while helping the environment. A green, eco-friendly landscape can make a barren slope a thing of beauty and benefit the earth when the right ground cover for your area is chosen and planted. Installing a rain barrel is a great way to harvest rain water for use in watering your eco-friendly landscape. Conserving water is always an eco-friendly thing to do and will help ensure enough fresh water for generations to come. A ready-made rain barrel can be purchased to place under the down spouts of your home and collect rain water runoff. A rain barrel is also one of those easy do-it-yourself projects that requires little more than a 55 gallon plastic barrel and a few fittings from your local hardware store. 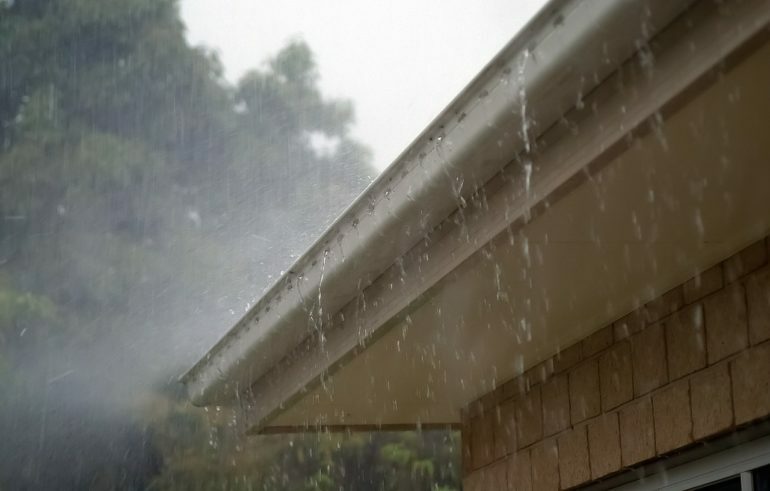 The roof of an average three bedroom home will have over 25,000 gallons of rain runoff per year. A rain barrel can capture that water so it can be recycled for garden and lawn usage, saving you utility costs and being eco-friendly at the same time.